CSA Chopped Episode #20 – ugly food tastes better. So we are nearing the end of this season of CSA. 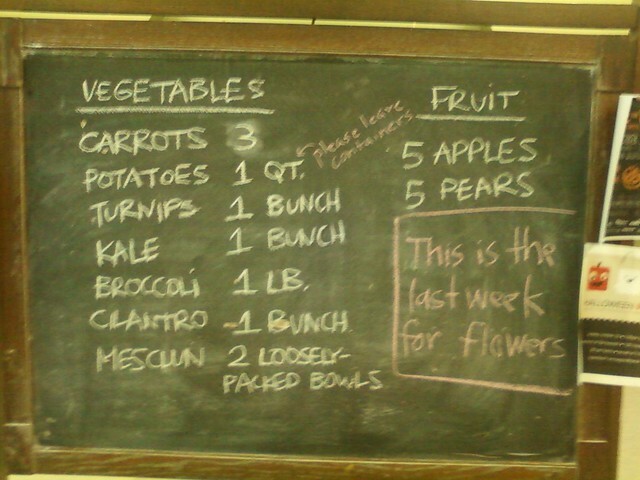 This was the last week for flowers, and we have only 2 more weeks of fruits and veggies. After a 2 week break the once a month Winter share will begin! YAY. I have learned so much about organic farming and produce and eating locally thanks to this experience, and I am very grateful for that! 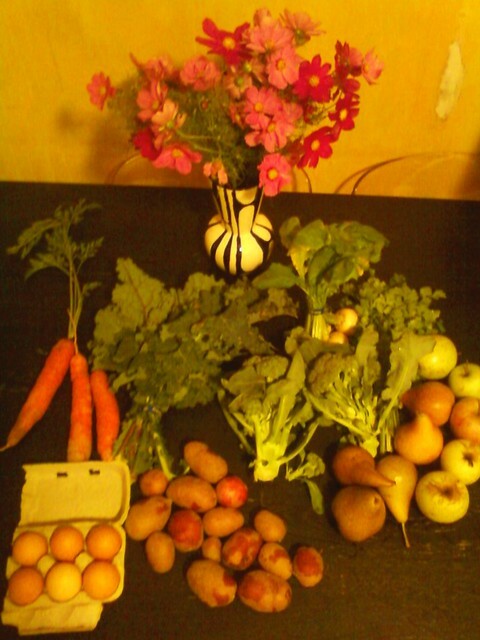 This week’s share was small, but looks good, especially the mesclun and the turnips. And i’m gonna have to think about what im going to do with the boat load of cilantro as well! Stay tuned!